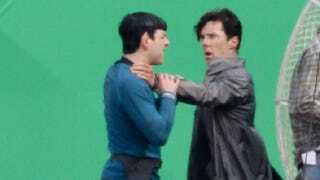 First official synopsis for Star Trek Into Darkness includes major villain hints! J.J. Abrams' second Star Trek movie comes out next May, but we still know remarkably little about it. We haven't seen any footage yet — although we'll be seeing a ton, in just a couple weeks. And we still don't know what villain Benedict Cumberbatch is playing.